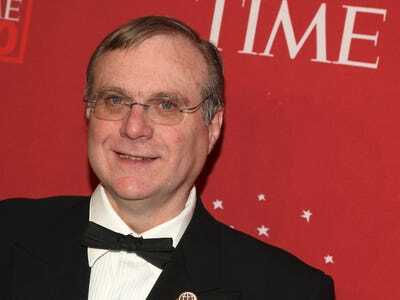 Stephen Lovekin / Getty ImagesMicrosoft cofounder Paul Allen has died at 65. Jeff Bezos said that today’s internet is a “confirmation bias machine” that could help autocratic regimes. The Amazon CEO weighed in on the current state of social media at the Wired 25 conference on Monday. Facebook is banning any kind of hoaxes about voting, like false reports of violence or fake photos of long lines.The move is intended to address hoaxes like telling certain users they could vote by text, a method that has been used to reduce voter turnout in the past. “Fortnite” is getting a new mode for the most competitive players, as it builds towards a $US1.1 million showdown.“Fortnite: Battle Royale” is adding tournaments to its roster of in-game events, which will have different formats spanning several days. The cofounder of Instagram said “No one ever leaves a job because everything’s awesome” about his departure from Facebook. Instagram cofounder Kevin Systrom spoke out about why he left the company in September at a conference on Monday. Thread, the fashion startup that helps lazy guys buy clothes, has raised $US22 million. Thread uses a mix of machine learning and real-life stylists to learn about its customers’ fashion tastes, and recommend stylish clothing accordingly. Jeff Bezos defended Amazon taking defence contracts, even as Google and others shy away. The Amazon CEO said, “this is a great country and it does need to be defended” at a conference on Monday. Apple hired the founders of a music startup that says it can find ‘the next Justin Bieber’ – and it may give Apple Music an edge against Spotify. Apple has bought music analytics firm Asaii for under $US100 million, Axios reports. People are questioning the story that missing journalist Jamal Khashoggi’s Apple Watch recorded him being killed.With Khashoggi still missing, security and technical commentators have cast doubt on reports from the Turkish media that his Apple Watch recorded him being tortured and killed inside the Saudi consulate in Istanbul. Facebook will now show who exactly is paying to swing people’s votes through online political advertising. The company will both label ads as they appear in its News Feed, and archive all political ads in a searchable library which will retain ads for seven years.